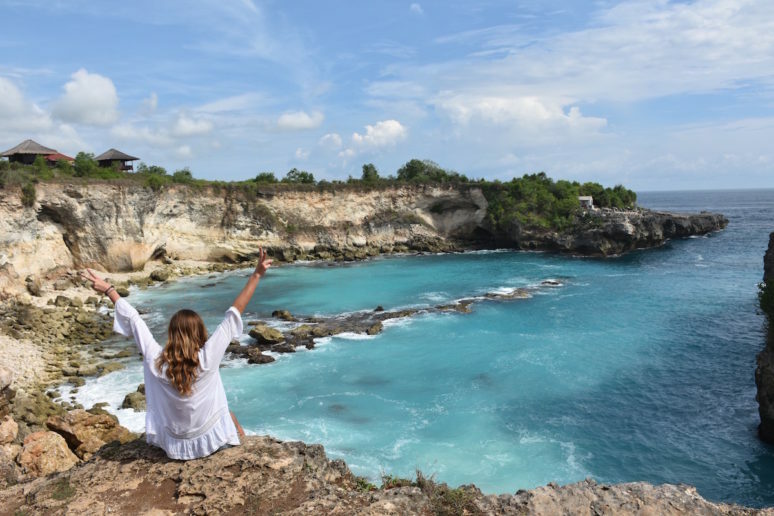 Just a thirty minute boat ride from Bali you can escape to the beautiful islands of Nusa Penida, Nusa Lembongan and Nusa Ceningan. Last month I took a trip there for four days and managed to cram in all the must do activities on each of the islands in this short time. 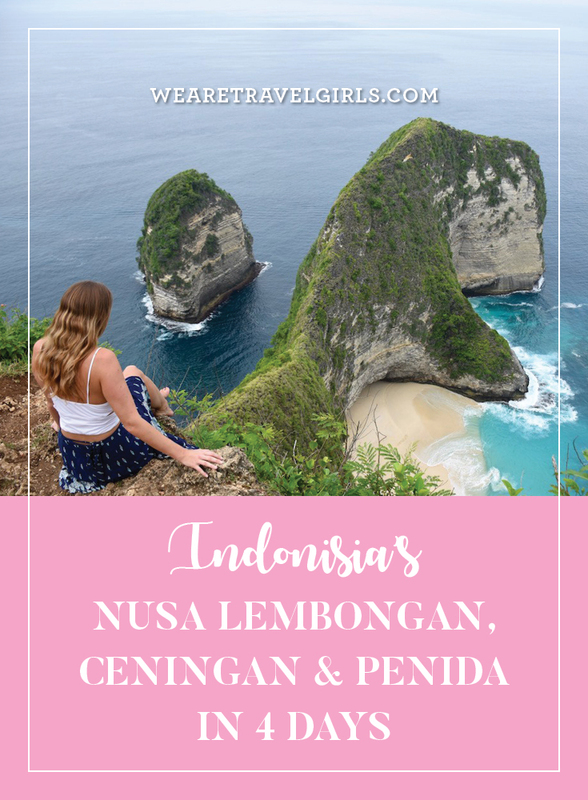 In this post I share my itinerary, costs and how to get between the islands Nusa Penida, Nusa Ceningan and Nusa Lembongan. 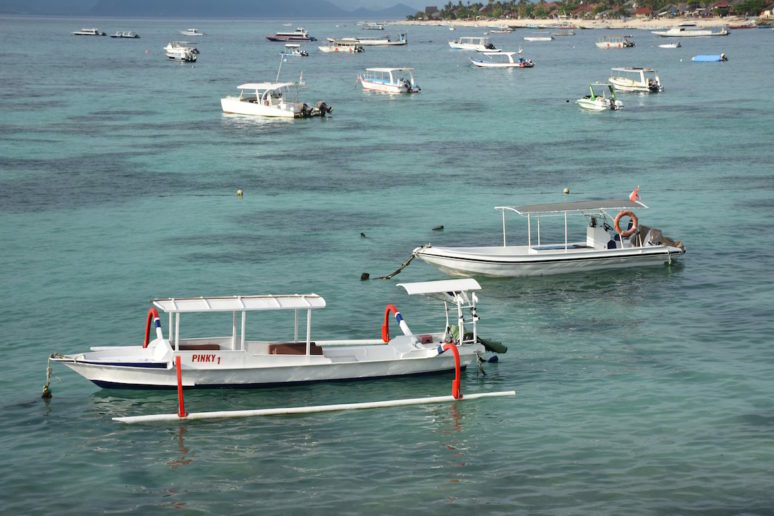 To get to the islands you can take one of many boats operated from Sanur (on Bali) to Nusa Lembongan. It’s easy to find the boat time tables online, but there are lots to choose from with mixed reviews. After some research we chose Rocky, who operate several boats a day for US $50 return pp. They are extremely well organised and even offer pick-ups from your hotel based on your location. 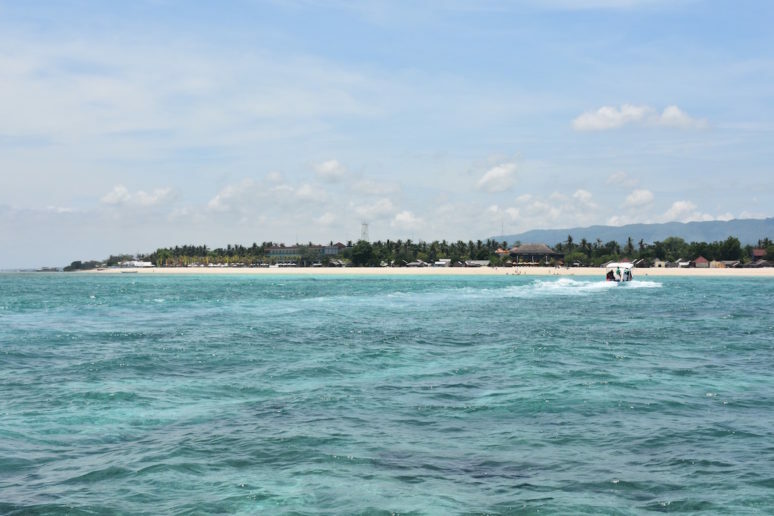 Once at Sanur you can buy (or collect) your ticket from the main office on Jl Hangtuah 41, just email them beforehand to reserve your place on the boat, from there they will the drive you to the main port where they help carry your bags, label them and carefully store these on the boat. They also label you based on where you are staying and provide transport to your hotel on the other side. We took an 11am boat, meaning we were on the island by midday. 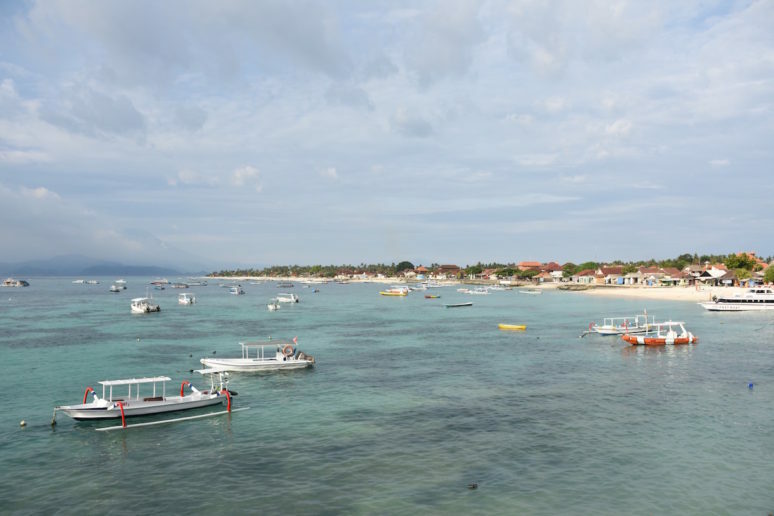 Take the afternoon to explore Nusa Lembongan. 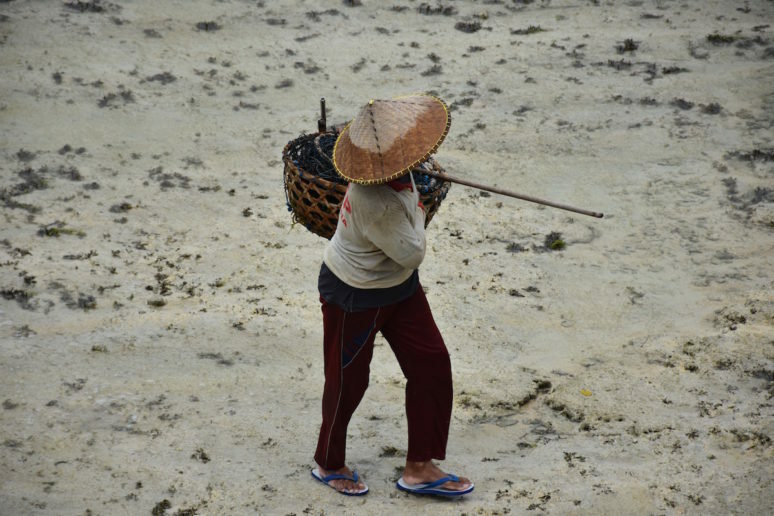 I recommend walking the full stretch of the beach which offers beautiful views back over to Bali and Mount Batur. Getting around can be tricky on all of the Nusa islands. If you are comfortable on a moto you can hire one for around $5 a day, otherwise the pick up vans you will see ferrying tourists around charge high prices for short journeys around the island, approx. $10 per journey. 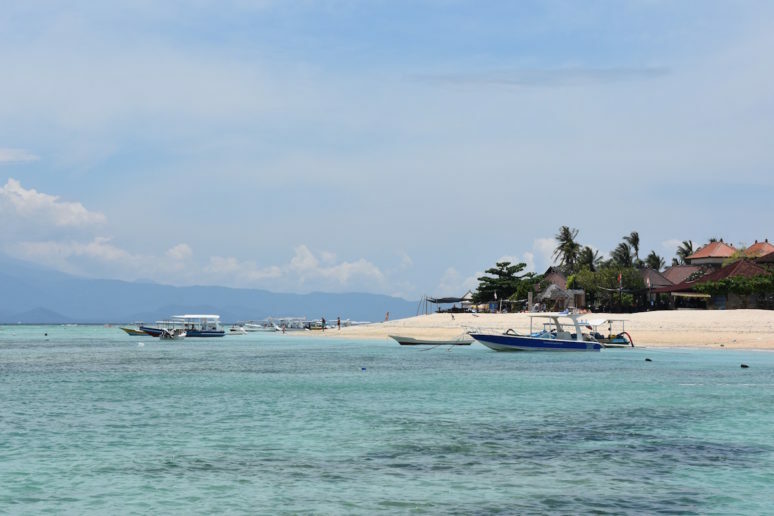 We asked why this was, and were told that the cost of vehicle maintenance and gas on the island are much higher than on other Indonesian Islands so the prices reflect that. Tip – in the evenings, if you book a place for dinner call ahead and the restaurant will come and pick you up. 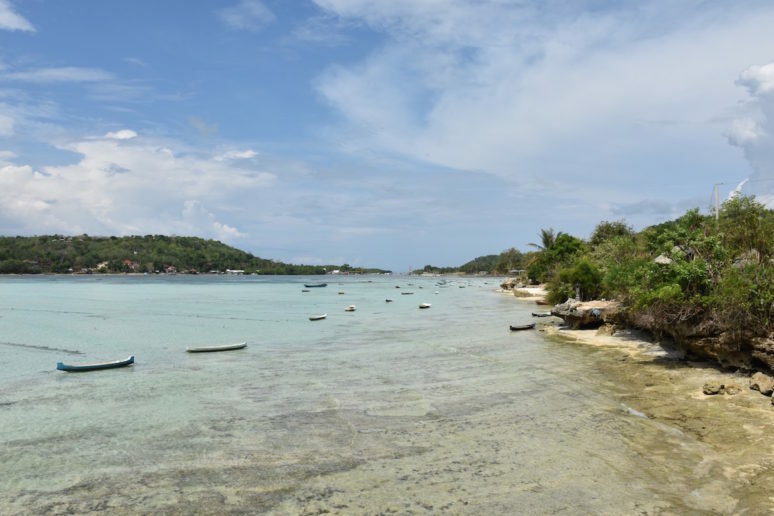 For the rest of the day, enjoy the beautiful beaches of Mushroom Beach, Dream Beach and make your way up to mangrove forest for a greener experience. 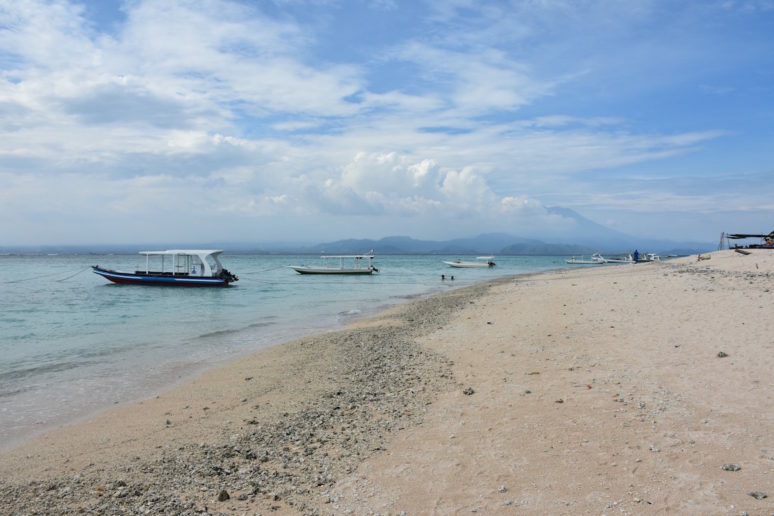 On our second day we made our way to Nusa Ceningan, the smallest of the three islands. A yellow foot and bike bridge was previously the way to get from Nusa Lembongan to Nusa Ceningan, however sadly a few days before we arrived the islands were struck by tragedy as the bridge fell during a procession taking the lives of several people and injuring many more. It seems that there are plans for a new bridge to be built, but in the meantime locals can ferry you the few minutes across for R10,000, less than $1 per person. They will also take your moto over if needed. 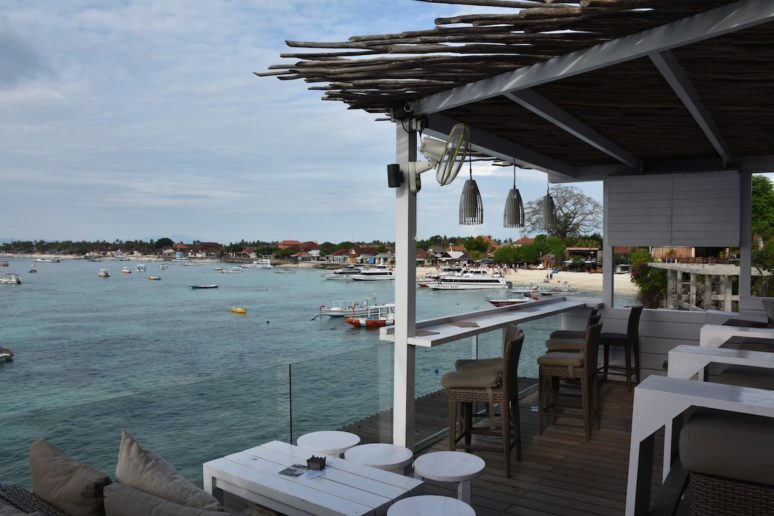 We are not sure if it was due to the bridge collapse or Nusa Ceningan is always quiet, but as we arrived on the other side, there was no one there to taxi or bike you around so we walked up to Le Pirate to have lunch and chatted to the guys working there. We were then able to negotiate with them to bike us around the places we wanted to see for R50,000 each (just less than $5). This is the thing in Indonesia, locals are friendly and talking to them is often the best way of arranging to get around. Make sure to make stops at the stunning Blue Lagoon and Secret Beach, where you can watch surfers navigate around rocks and corals and if you are brave enough, jump into the ocean from a small diving platform. But be careful about tides as there are a lot of rocks around here and some strong waves crashing in! 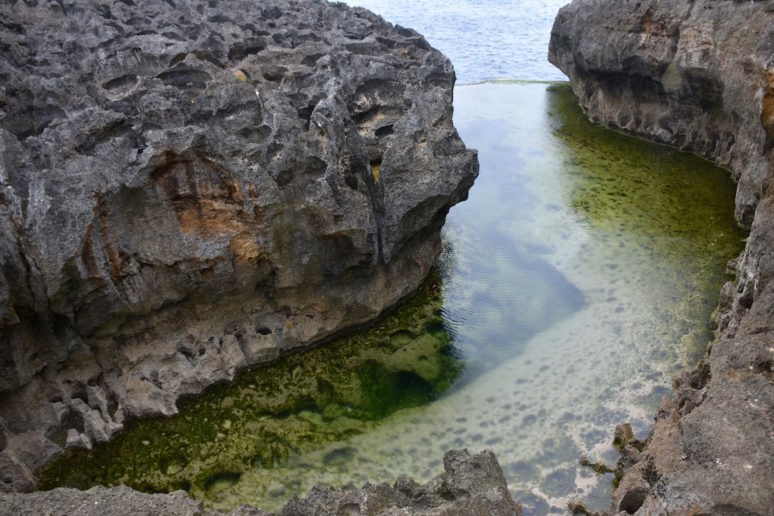 If you are a diver it is highly likely you will want to take at least one day to dive here. We spoke to a few dive shops who recommended that we take a practice dive since we hadn’t dived for 12 months, due to the strong currents in the area, many of which are down currents. Bear this in mind if you have a short trip and plan to dive, and make sure to have taken a recent dive and refreshed your skills beforehand. Since we didn’t have time to fit this in we decided to take a snorkelling tour instead. 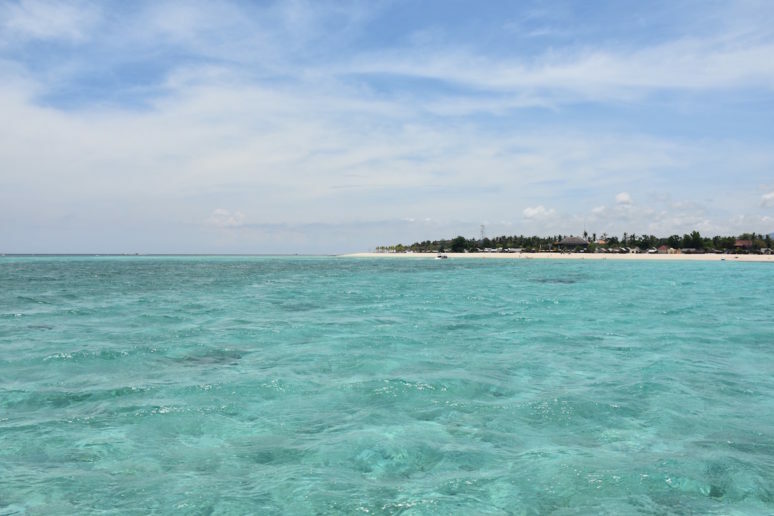 If you look online you will find snorkelling tours at extortionate prices around $80 per person, as with most things on these islands ask a local or your hotel and you should be able to book a day trip for $20! At this point, if you know anything about the islands you may be thinking, but if I don’t dive I won’t get to see the manta rays! 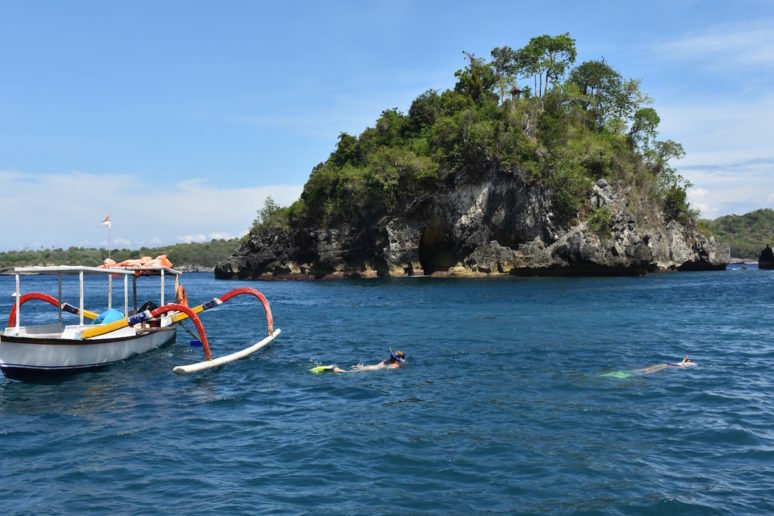 But you would be wrong, our snorkel tour took us straight out to Manta Point, by Nusa Penida island where we immediately saw three huge mantas right next to the boat. 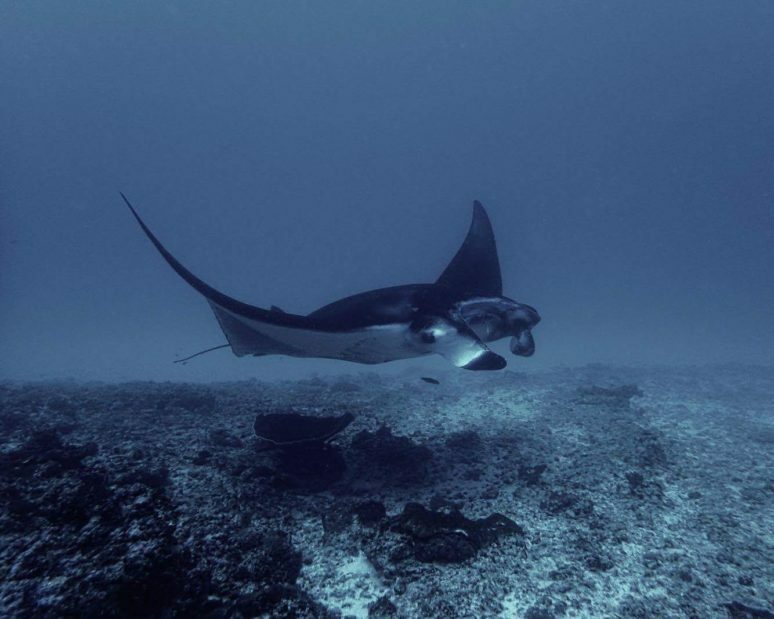 We all plopped into the water with our snorkels on and were greeted with these majestic animal gliding around you. Luckily our boat driver made an effort to stay away from other boats so we didn’t crowd the mantas. The saddest part of the experience was a problem that seems to be throughout Bali, which is the littering in the oceans and on the beaches. Whilst taking in this beautiful experience we were disappointed to swim past numerous crisp packets and cans in the water. If you are interested in helping any clean the beach projects in Bali, please see the Facebook group Bali Beach Clean Up. 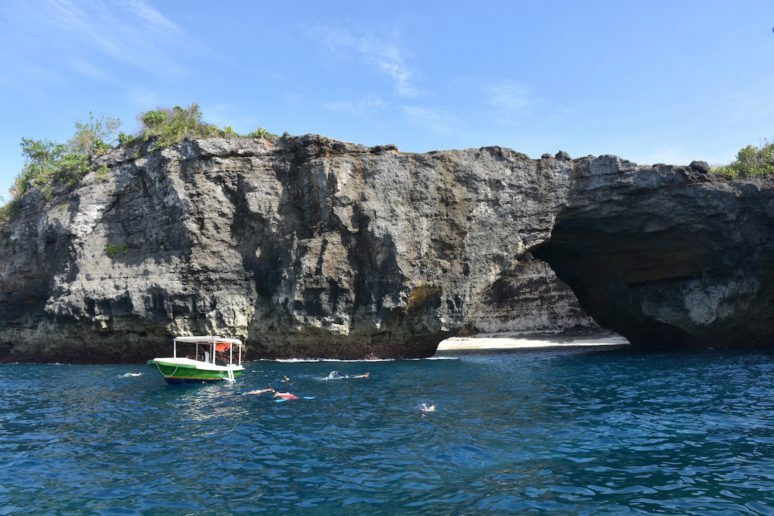 The snorkel tour will then take you on to various spots around Nusa Penida, one spot being a cool coral wall and then onto the Ceningan Channel. If you are interested in finding the underwater buddha check out our post Beyond Bali – Finding The Underwater Buddha. 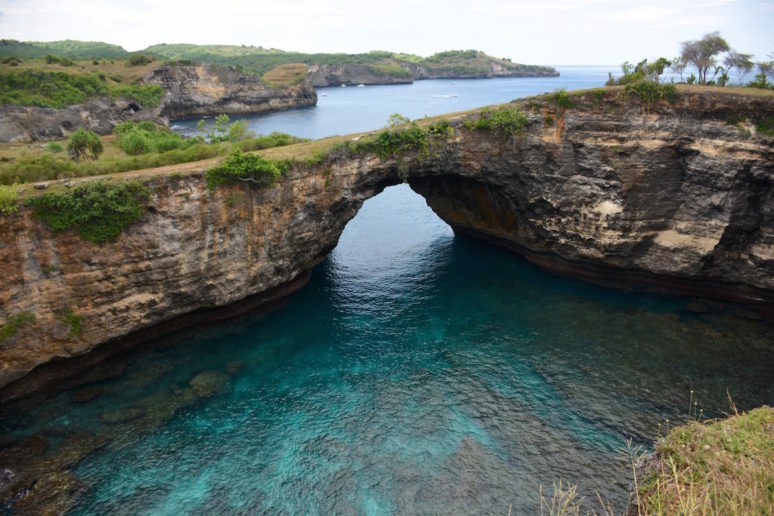 The second highlight, behind the mantas, was seeing Nusa Penida. There a few accommodations on the island, but the majority of visitors do not stay there and as such arranging to get there and get around can be challenging. Tour bookings online start at $100 per person, which is steep in Indonesia. 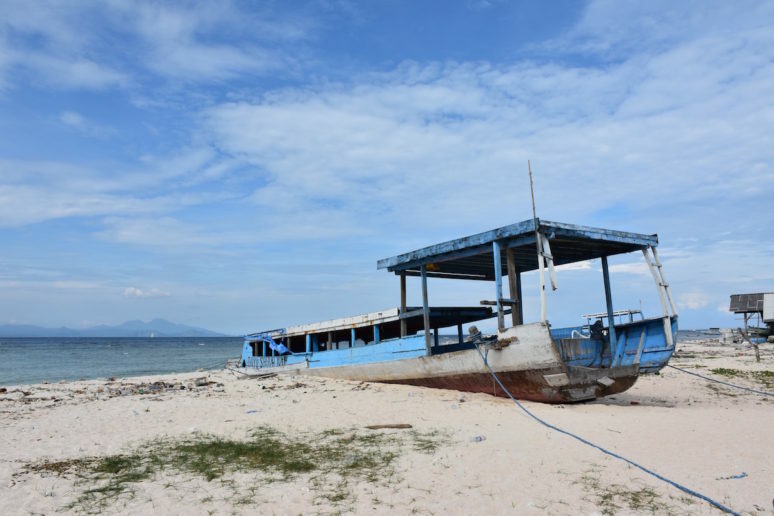 But by speaking with various people and our hotel staff we were able to secure a transfer to the old yellow bridge beach for R100,000 ($10), at the beach we got a boat ride for R150,000 ($15) and at Nusa Penida jetty a driver met us who we paid R800,000 ($65) for the day. If you arrange your own driver you can then plan out the day and the spots you want to see yourself, however bear in mind that driving on the island can take time due to the condition of some of the roads so you should aim to see three to five spots and ensure you choose them in same area of the island if you plan to do it in one day. I.e. don’t pick spots on north, south, east and west of the island, just pick one area, likely this will be the west coast where the main highlights are. 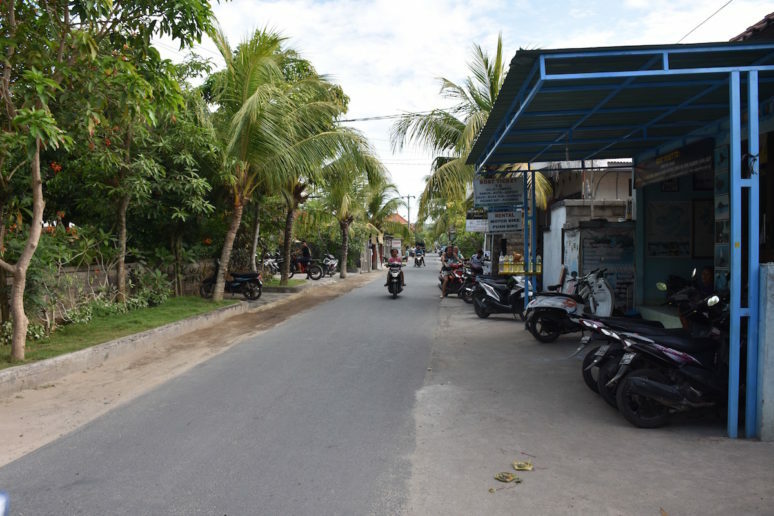 The other option is to rent a moto on the island to get around, but I would only suggest this if you are very confident on the bike as the roads are challenging. Our first stop was Kelingking Beach, then we travelled on to Broken Beach and Angels Billabong (which are walking distance to each other) and ended the day at Crystal Bay. 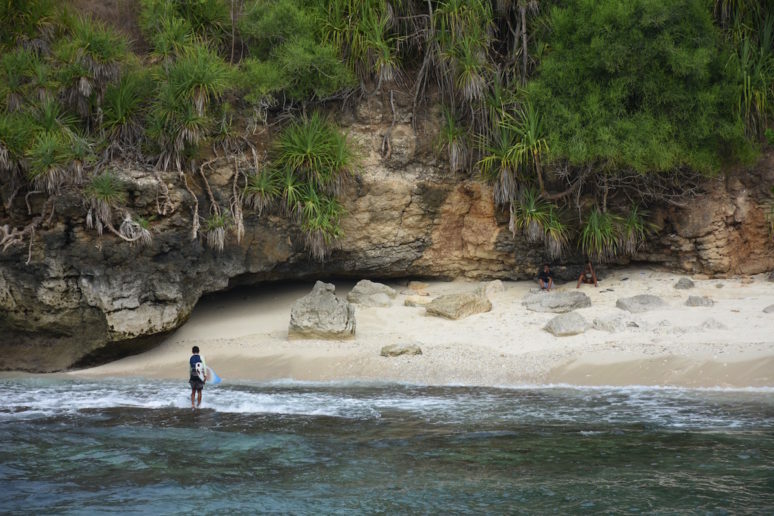 Other popular spots are Peguyangan Waterfall, Suwehan Beach, Atuh Beach which are all further south on the island. 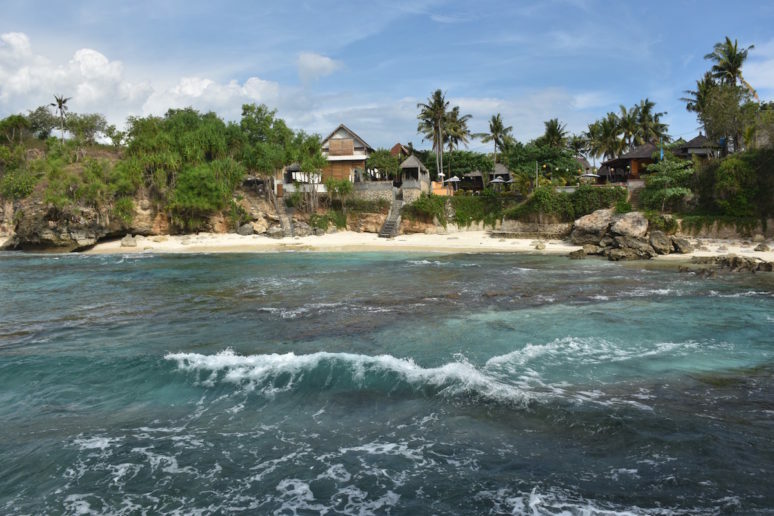 We stayed for the full four nights on Nusa Lembongan, choosing an affordable guest house Tarci Bungalows set right on the beach, another popular choice is Tigerlillys. 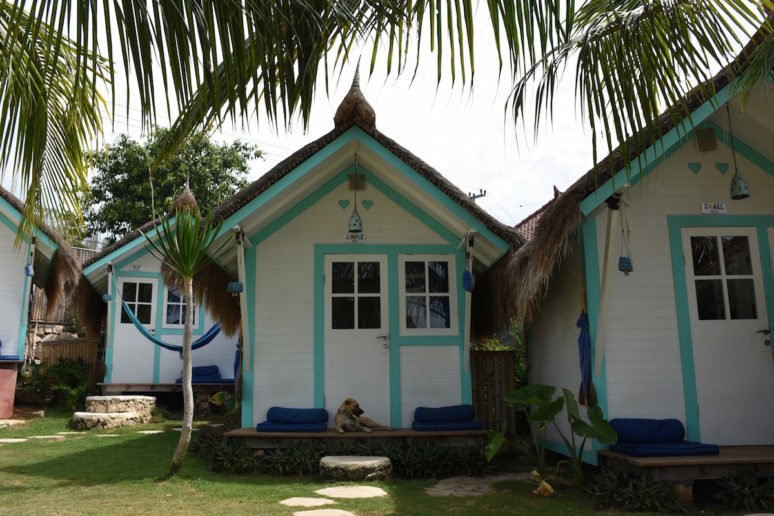 If you prefer to stay on the quieter Nusa Ceningan there are a few places to stay including the popular and very Instagrammable Le Pirate Beach Club. 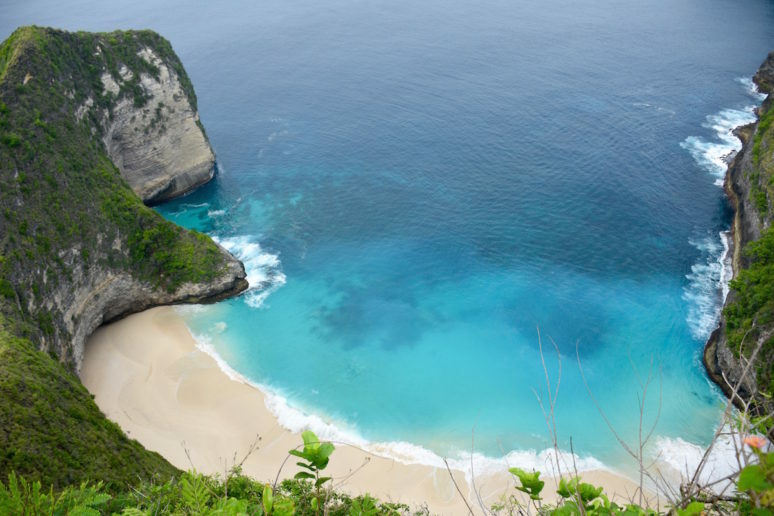 Or if you want more time to explore beautiful Nusa Penida there are a few options here too. Don’t miss sunset at The Deck. Offering snacks and delicious pizzas overlooking the ocean, you will not be disappointed with the food, the setting or the ambiance as live DJs play chill out tunes as the sun goes down. 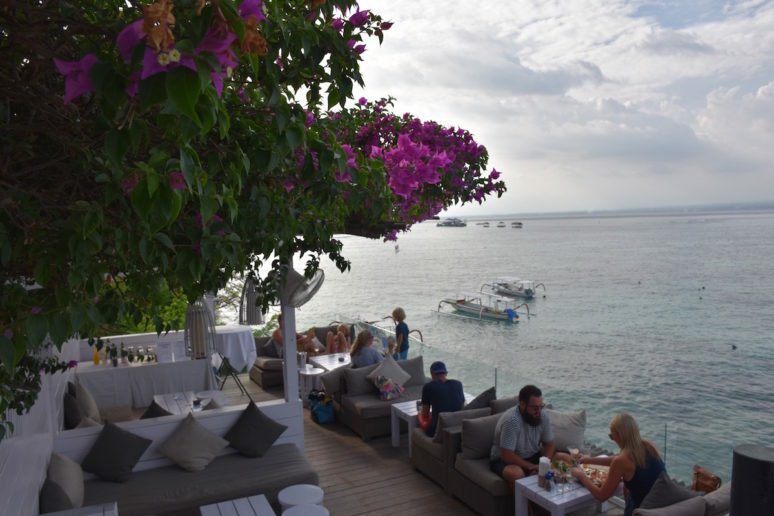 You can also get a glass of Rose here, which you will know is a treat if you have spent much time in Bali! There is also finer dining experience upstairs if this is more your speed. Another popular spot is Lemongrass where it is advisable to book your table in advance. 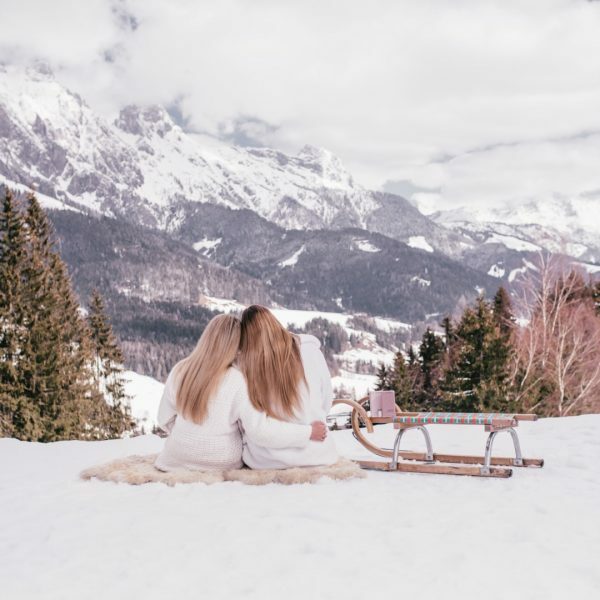 We were surprised to find it was fully booked every night, but the helpful staff will still try to get you seated and you just might be sharing a table with some other travellers. Tigerlillys, mentioned earlier, also offers a great menu, especially for breakfast or lunch. Whilst I was able to fit most of the things I wanted to see and do into these four days, I am still craving a trip back to the islands. 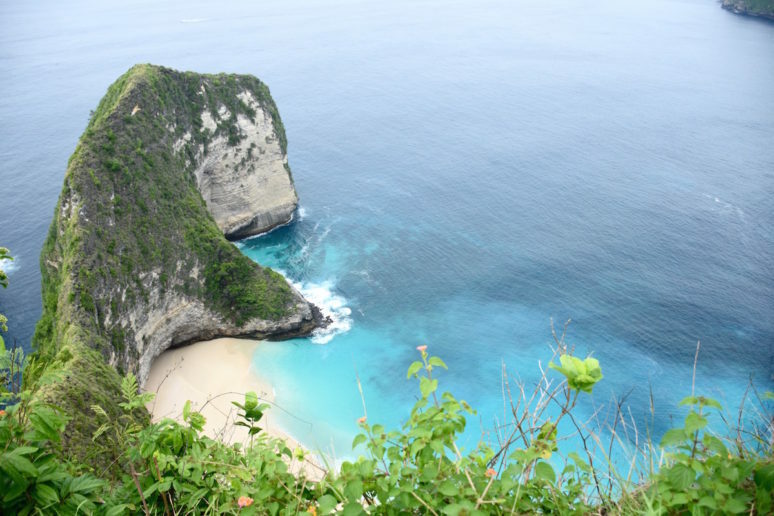 Especially Nusa Penida, where there is so much to explore. 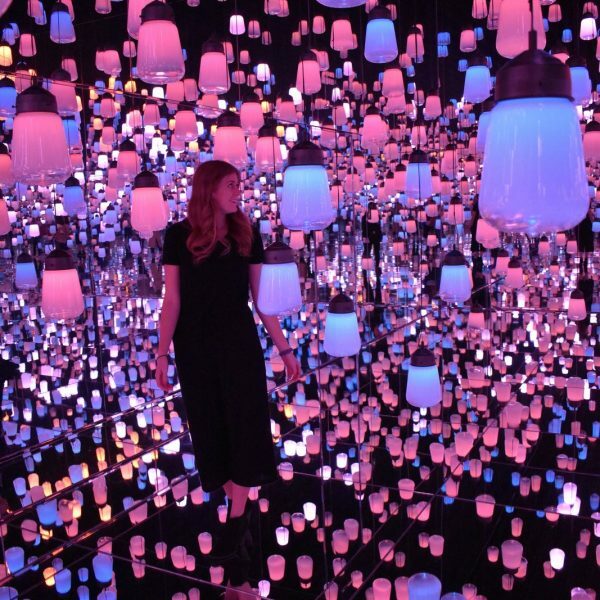 Social media is now playing a big part in increasing the popularity of places, so I highly recommend going now before some of the sights become crowded! 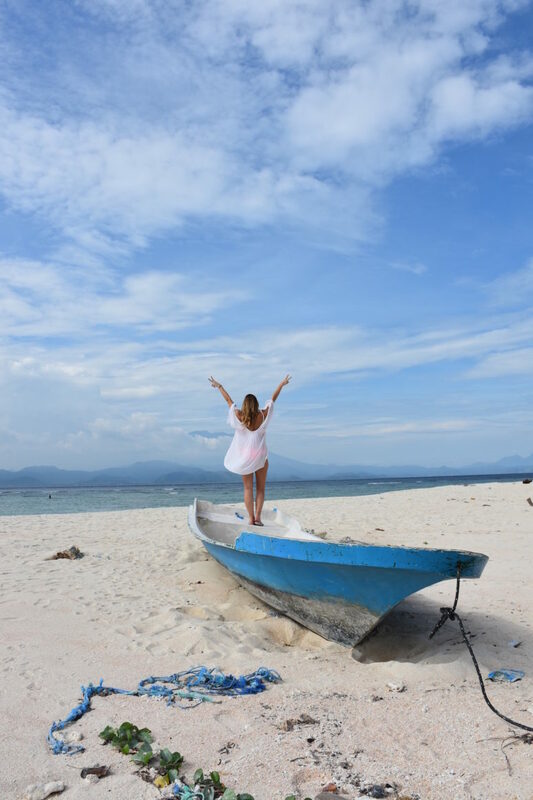 If you want to explore more of Indonesia’s tropical islands then read my Ultimate Guide To The Gili Islands. Please share your own recommendations for these Indonesian islands with our readers in the comments below. Want to share you own travel tips by guest writing for We Are Travel Girls? Go to our Contribute page for guidelines and to submit your article. Thanks Tatyana, I loved these islands and cannot wait to go back either! 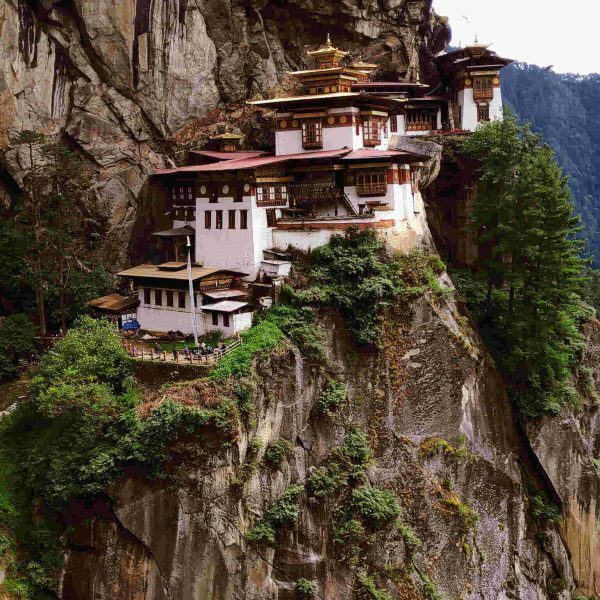 These pictures are extraordinary – every one looks like it belongs on a postcard! There are some great ideas, if you are lucky enough to have some extra time for a side trip in Bali. Beautiful photos Becky! I can’t wait to come back to Bali! This looks amazing! And very well written! If you don’t mind me asking, how much did the whole entire trip cost in USD? thank you so much! And will do! When did you make this trip? It looks like you had pretty decent weather so I wondered if this was recent, in the wet season, or earlier before it got too rainy? I am going in the beginning of March and am hoping it’s not too wet. Thanks for reading and commenting! This was not a tour, I planned everything myself and we saw the islands independently. 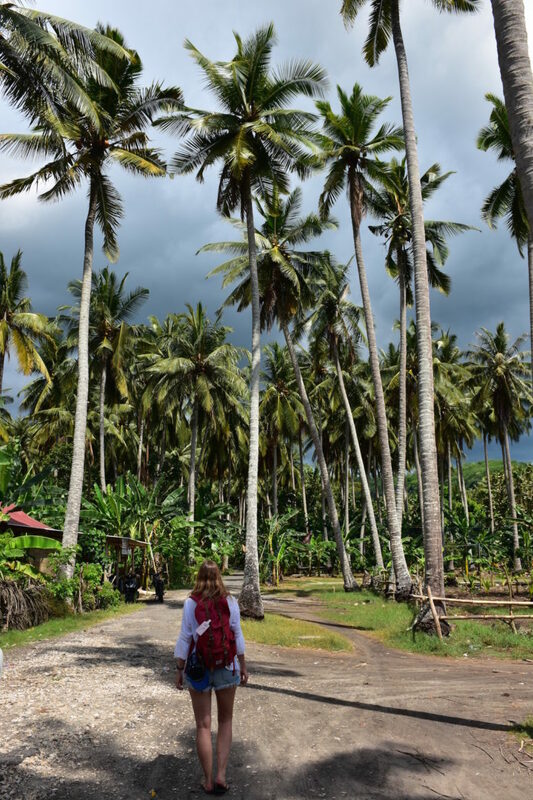 There are some tours operating to the islands but they can be expensive which is why I have shared how we visited each of the islands and the cost of doing so, which was significantly less than the tours! Hope it helps in planning your own trip! hi! do you just book the snorkelling tours day or do you arrange it with the hotel? 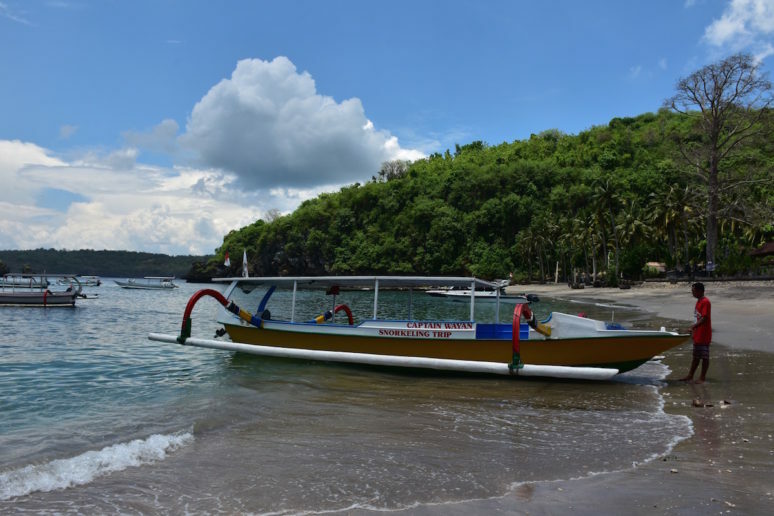 We are a tour that provides all the needs of a vacation to the island of Nusa Penida and pamper you with a variety of beautiful tourist attractions on the island.